In Shelby County, west of Lake Loramie, is the village of Fort Loramie, Ohio. This longstanding settlement was originally a fur trading post established by a French-Canadian pioneer named Peter Loramie in the late 18th century. A fort was built at the site decades later and dubbed Fort Loramie in his honor. About 1,500 people now live in Fort Loramie. Every summer, Fort Loramie explodes in population for three days. A massive concert series is hosted at Hickory Hill, close to Fort Loramie. Major country music acts perform on the main stage at the festival known as Country Concert, while emerging artists play on Saloon Stage. After all this musical excitement passes, residents go back to normal life for another year, eating at Morrie’s Landing and enjoying peace on the water. When you need vehicle service or repairs in the Fort Loramie area, visit nearby Chickasaw Garage. We’re proud to be auto repair experts with decades of experience and training on a wide range of makes and models. Our team is dedicated to the best customer service you’ll find anywhere, and we’ll work hard to earn your trust. 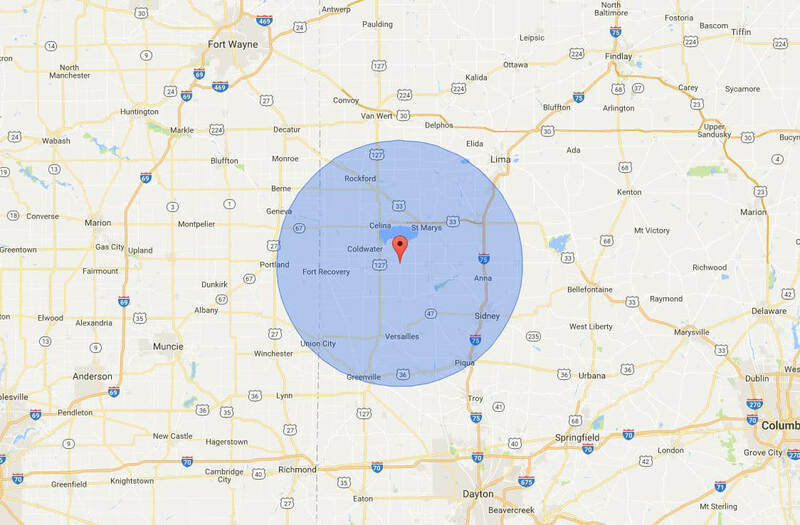 You will find us just 12 miles northwest of Fort Loramie, in Chickasaw.